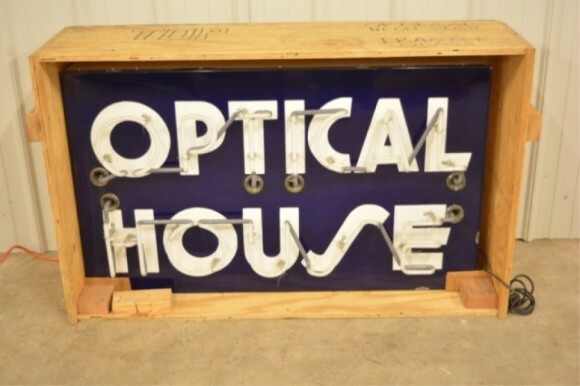 The large Optical House Lounge Neon sign is enclosed in a procelain box. This sign lights up with pink and blue neon signs. The sign is quite large with measurements of 44″ x 26″ x 7″.